The KeyMod Direct Attachment System was developed for low profile lightweight modular. 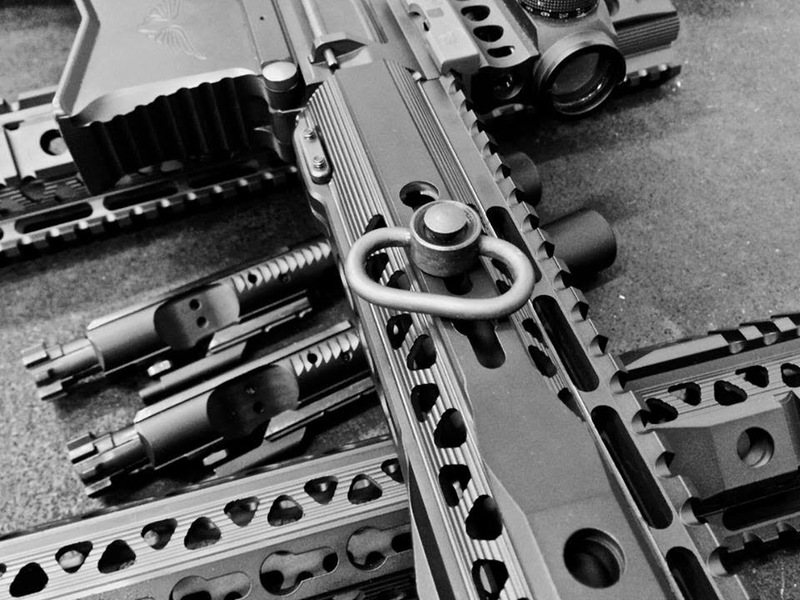 The current available products to attach a sling to a KeyMod equipped handguard require a QD Swivel Attachment Mount along with the corresponding QD Swivel connected to your sling. SLR Rifleworks took out the middleman with their new QMod. The Q-MOD is the QD Swivel and KeyMod Attachment point all in one. Quite simplistic that we are surprised no one thought to do it thus far. SLR Rifleworks is yet another manufacturer to offer a handguard using the direct attach system with their new 9" and 12" Liberty KeyMod, which you can see the former in the shot below with a QMod ready to go.